Micro$oft 和 大量 3rd-party programs 好似好多嘢兮靠 .Net..... 不剷得? 同埋見到個SCREEN CAP. 係3.5.1 既Update. 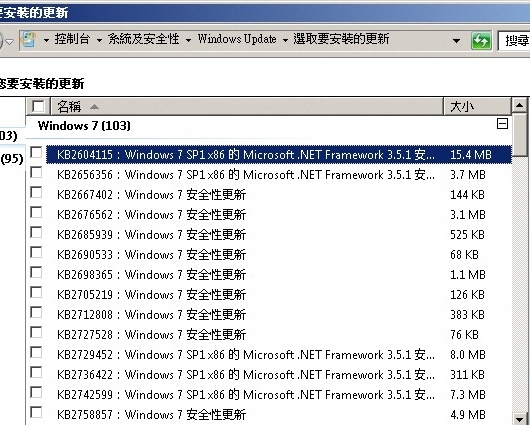 照正路win 7 入邊有.net 2 同 .net 4. 可能你個FTP 行3.5.1 卦.
GMT+8, 2019-4-20 13:25, Processed in 0.154225 second(s), 4 queries.